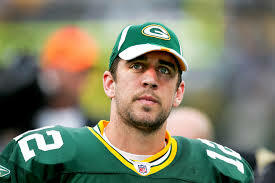 Aaron Rodgers, the Green Bay Packers Quarterback paid a visit to four children who lost their fathers in the military. He documents this through a video for his web series, “It’s Aaron.” He visited a camp called Camp Hometown Heroes, which is a weeklong camp for kids who lost a loved one while they were serving in the military. The children chatted with Aaron about the camp, also did some fishing and he even signed some Packers footballs for them. The kids told Rodgers how much they love the camp, but they wished the day their dads died never came. They then showed the Packers quarterback a quilt they made, where they were asked to draw a picture of their loved one and write a memory about them. Camp Hometown Heroes has set up a funding campaign to help spread camps into different states, not just Wisconsin. “The more we do this, you just find so many amazing organizations that are right here in our backyard and are doing some incredible work with kids,” Rodgers said in the video. Just a girl, obsessed with sports. Illinois Media School graduate. Aspiring sportscaster who loves writing.